The board of supervisors adopted this action plan July 1 for the W and OD Trail Crossing at Sterling Boulevard at their regular business meeting. This is the plain text, to obtain the full board item in a pdf, click on this link. Boulevard and W&OD Trail crossing as soon as possible. to flow. This confusion creates a considerable safety hazard. installed at the Belmont Ridge Road and W&OD Trail crossing (Attachment 2). 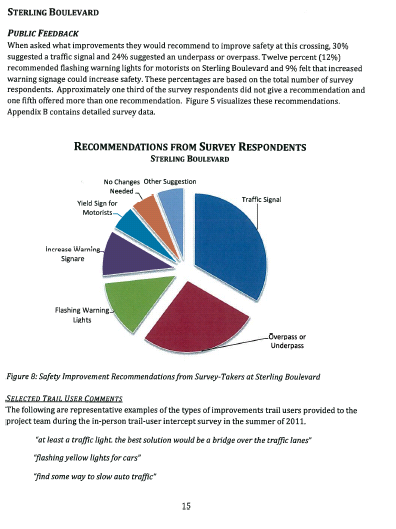 approved by the NVRPA, VDOT, and the local jurisdiction, which in this case is Loudoun County. Board can request that all entities involved expedite approval of this plan. and they have budgeted $150,000 for these safety improvements. 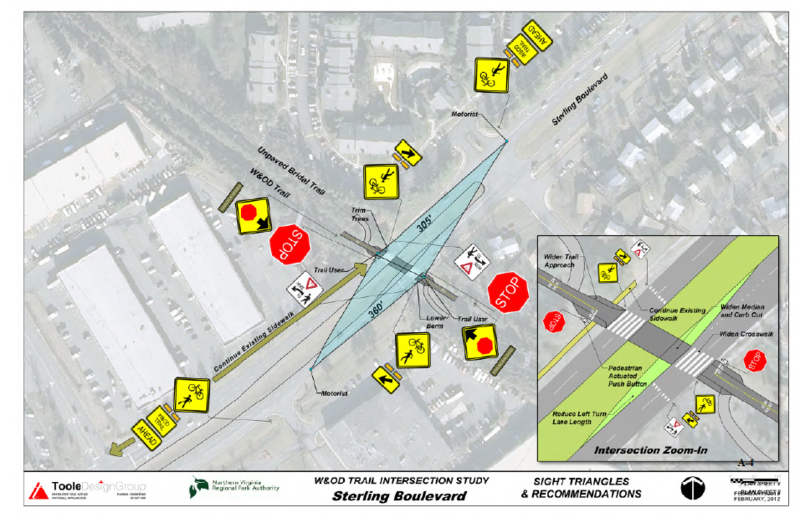 improvements for the Sterling Boulevard and W&OD Trail crossing as soon as possible.